ITV’s gripping, award-winning drama Broadchurch is returning for a third series. This morning it was confirmed that David Tennant and Olivia Colman will be reprising their roles as DI Alex Hardy and DS Ellie Miller respectively. 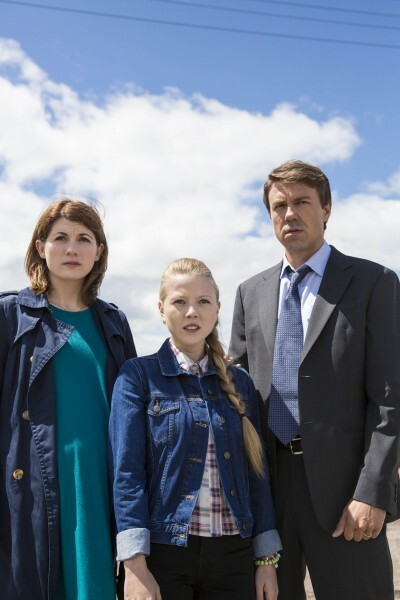 Whilst Andrew Buchan and Jodie Whittaker are also returning to the cast as husband and wife Mark and Beth, a number of new names have been announced for the upcoming third series. Coronation Street veteran Julie Hesmondhalgh and BAFTA award winner Georgina Campbell will join Sarah Parish – well-known for her portrayal of the spider-like Empress in Doctor Who – as new kids on the block in, so far, undisclosed roles. Actor, writer and comedian Charlie Higson and The Bourne Ultimatum’s Mark Bazeley are also said to have significant roles in the new series. Familiar faces we will see in series three include Arthur Darvill as Vicar Paul Coates, Carolyn Pickles as the local newspaper editor and Adam Wilson as Ellie’s son Tom. Whilst there is no known air date for the show, Olivia Colman recently spoke of her excitement to begin filming in May.